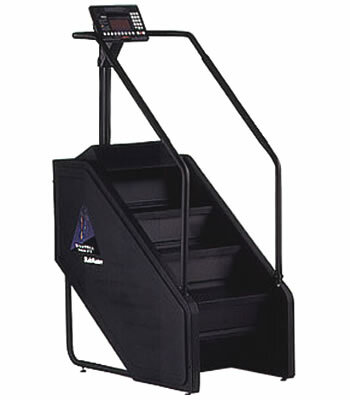 Stairmaster invented the original Stair Climber back in 1983. Since then it’s consistently been a gym staple and is loved by hundreds of thousands of exercisers around the world. 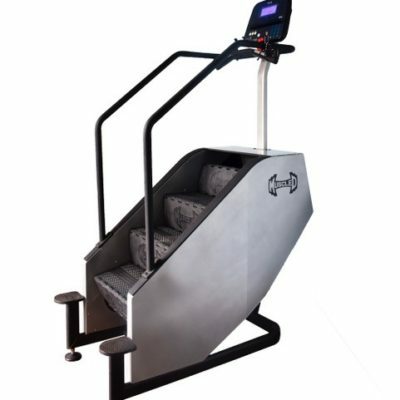 The Stair Climber maintains its popularity (known by many as the best workout in the gym) to this day thanks to the functionality and effectiveness of its workouts. 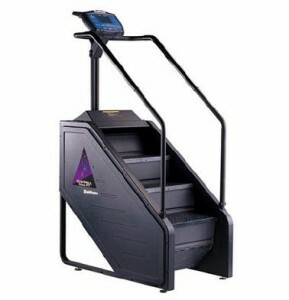 Climbing stairs is an everyday activity for most of us, which makes this machine uniquely practical in a way that other cardio units struggle to match. 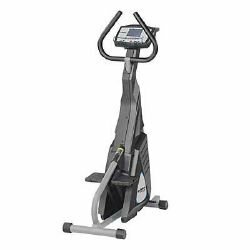 A Stairmaster for sale is the best bang for the buck you can get, both for your financial investment and the time using the equipment. A Stairmaster price can vary by whichever service level (i.e. floor demo, new or certified remanufactured) and warranty package that it comes with. 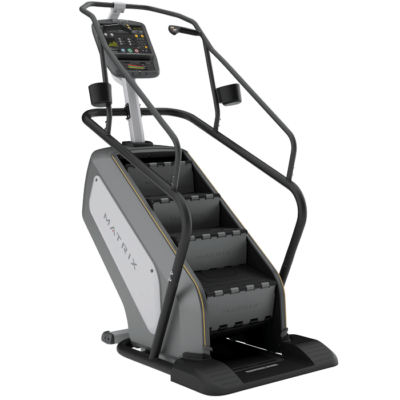 Stairmaster now offer a range of state of the art stair stepping products, including Stepmills, Gauntlets, and Freeclimbers. Click on a model to learn more about its specifications. 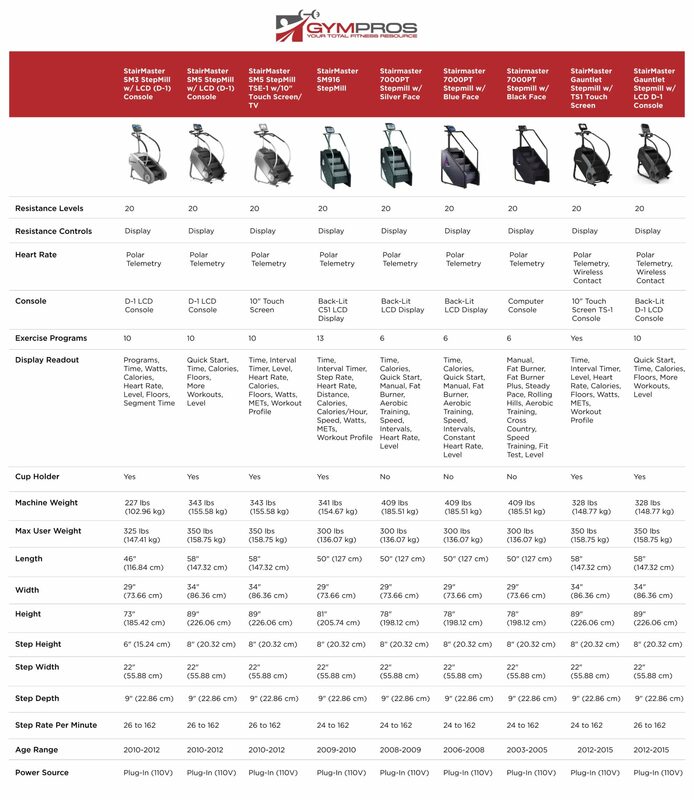 We offer an extensive range of Stairmaster products covering all their core categories. 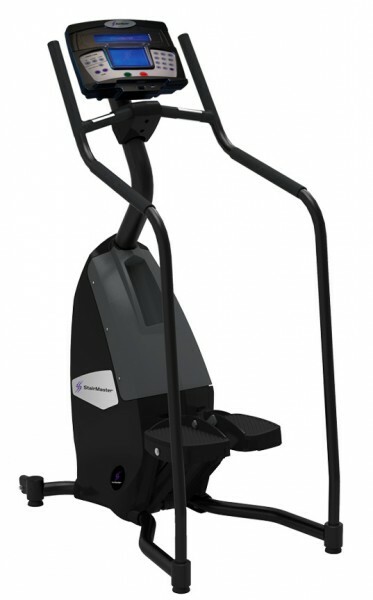 The Stepmill is renowned globally as the original climbing product and is still asked for by name by many gym members. Stepmills feature a series of stepping platforms that revolve as a user climbs them. The movement, biomechanics, and weight transfer precisely mimic the action of walking upstairs, which makes it an incredible functional workout. Our commercial grade Stepmills include the SM916, SM5, SM3, and 7000pt in three color options. 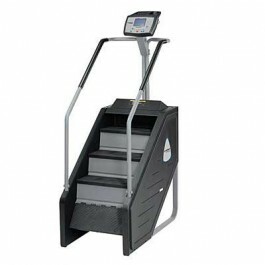 All Stepmill models feature a revolving step platform with adjustable speed settings. They deliver an effective cardiovascular workout as well as targeting the muscles of the lower body. 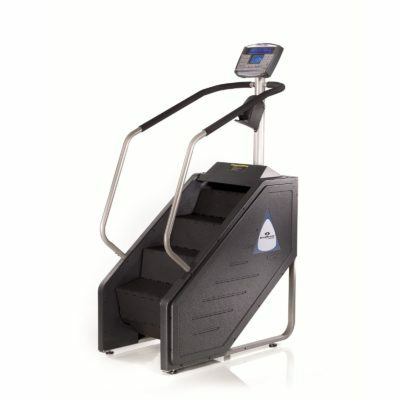 By creating an actual stair-climbing movement, Stepmills prepare the body for everyday activity in a functional manner. 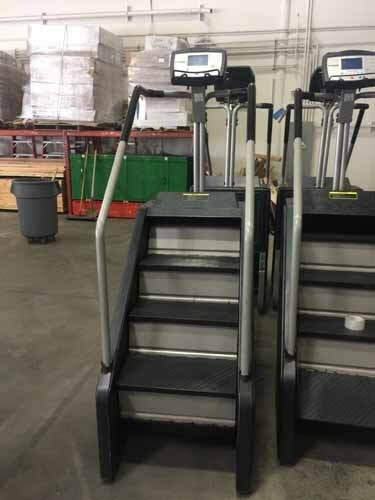 Unlike other machines which replicate similar motions, Stepmills require users to physically climb the revolving stairs so are the best form of preparation. 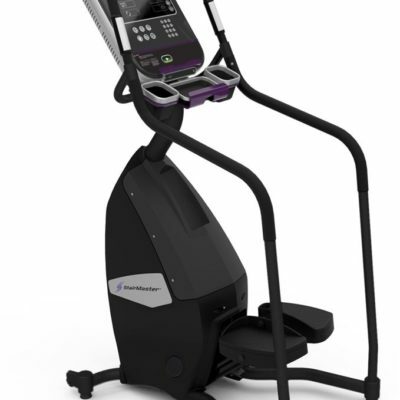 Like many cardio machines, Stepmills feature a range of preset workout programs. Depending on the model, these might include HR Zone, Fat Burner, Intervals, Calorie Burner, Mystery Challenge, Steady, Quick Start, Bell-Shaped, and the firefighter fitness test. Stepping speed can be adjusted between 24 and 162 steps per minute, depending on the user’s fitness ability. Some Stepmills include a built-in console whilst others include a 15” LCD connection option. Most are compatible with heart rate sensing products like Polar and include contact sensors for manual monitoring. We also offer a light commercial grade SM3 Stepmill for smaller facilities with less footfall. It features 6” steps and is the only model that’s compact enough to be used with 8-foot-high ceilings. 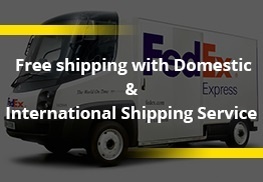 Transport wheels make it easy to move around your facility and position for maximal usage. 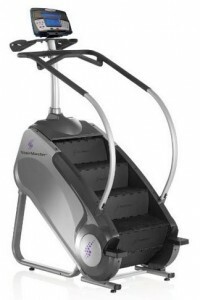 The Stairmaster Stepmill has been called the “Stairway to Heaven” for good reason. With the torso moving vertically in space it is by far one of the most effective ways to burn the most amount of calories in the shortest amount of time. 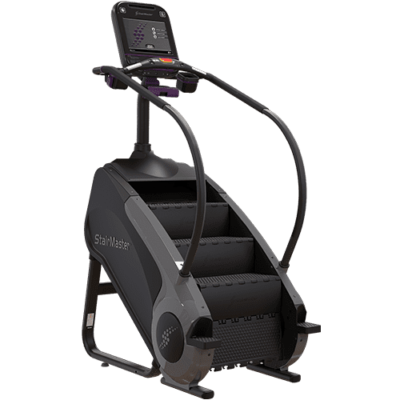 The Gauntlet models are the newest additions to the Stepmill range. The series 8, D1, and TSE are all part of the latest generation, offering modern console options as well as unique features. Gauntlet Stepmills feature OpenHub™ connectivity, which means you can pick and choose which console to connect. This flexible configuration solution means you only add (and pay for) the features you want! The Gauntlet TSE includes a touch screen console and unique ‘Landmark Challenge’ feature. This enables users to climb well-known landmarks from around the world, such as the Statue of Liberty, Eiffel Tower, and Taj Mahal. The 10” touchscreen console comes with an integrated TV Tuner and optional 15.6″ digital TV with HD capabilities. The Gauntlet series 8 and D1 both feature the same durable steel frame as the TSE, however, they include LCD screens instead of touch screens. You still get the same range of fitness tests on every Gauntlet machine, including the Multi-stage Fit Test, CPAT Fire Fit Test and WFI StepMill® Test. Freeclimbers are a little different in that they have two pedals which replicate a climbing movement. The user maintains contact with the pedals at all time, which can make them a better option for people who aren’t as steady on their feet. Freeclimbers target the quads glutes to create an effective lower body workout. 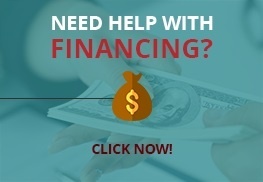 Our selection of Freeclimbers are a practical and cost-efficient option. They function more like a traditional stepper, with two pedals rather than revolving steps. Since users maintain contact with both pedals constantly, they can provide additional stability for people with limited balance or strength. Free climbers can be an ideal introductory machine for people who are new to the gym environment and need to build up their confidence. The familiar motion will enable them to pick it up quickly and easily, whilst still benefiting from an effective workout. These models also deliver great cardio training whilst targeting the lower body muscle groups. They help to tone and define the quads and glutes, which are common problem areas for many gym members. 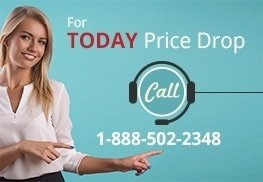 Call our fitness experts direct at 888-502-2348 to inquire about a Stairmaster for sale today!